This Mountain Profile essay first appeared in Alpinist 59, which is now available on newsstands and at our online store here. 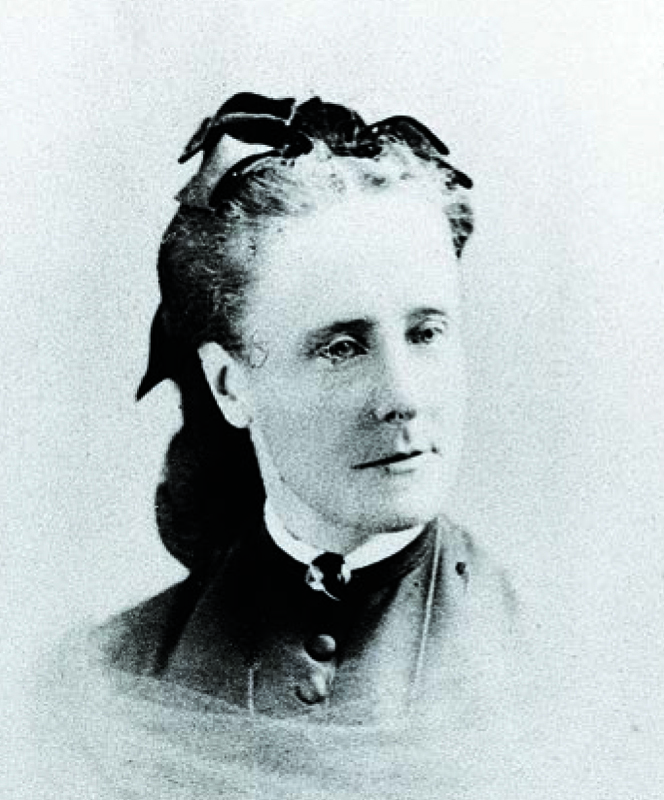 JUNE 28, 1870: META BREVOORT lay awake in the dark. Wind battered the canvas walls of her tent. 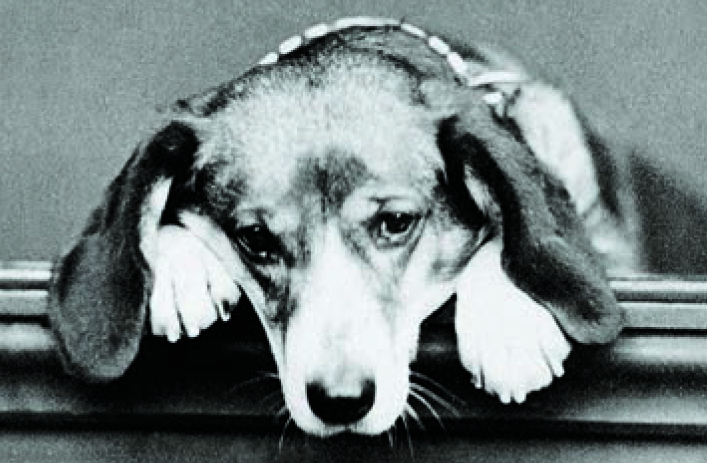 Between the percussive flaps of fabric, she listened for the deep, rhythmic sounds of her dog Tschingel's breathing. In a few hours, Brevoort, her nephew and the guides Christian and Ulrich Almer and Christian Gertsch would wake before dawn to begin their attempt on the grand summit of la Meije. Broad sheets of snow and ice hung like rumpled taffeta below the mountain's sheer, black face. No one had yet stood on the sharp summit diamond. Now Brevoort was a mere day's climb away from being the first. The party left camp at 4:20 a.m. A dull yellow glow from the hand-lantern illuminated only a few meters in front of them as they wound their way up the crevassed slope. The warming snow crunched like meringue under their feet. By 7:00, they reached the saddle between the Bec de l'Homme and la Meije. The wind kept pace with the break of dawn, and the party stopped to put on jackets and secure their hats. Maintaining Victorian fashion and decorum at altitude, Brevoort still wore her toe-skimming skirt over pantaloons (though she often abandoned her crinoline petticoat at difficult, vertical sections). Uncertain which of the three prominent peaks was the true summit, the party opted for the central spire. They cut steps up steep ice. Though the rest of the party carried newer, short-handled ice tools, Brevoort kept to her traditional alpenstock, into which she had had burned the names of several of her proudest ascents. "We had now arrived at a narrow col between the two teeth of the highest (as we supposed) summit," Brevoort's nephew later recalled in a letter to his mother. "Turning to the right, we proceeded to wriggle up rocks so steep and smooth that they resembled the rocks of the Matterhorn with the exception that the latter have ropes, the former none." They reached the summit just after noon. In the distance, the grand peaks of the Aiguille du Geant, Mont Blanc and Grandes Jorasses glimmered with snow. But to the west, another peak rose from the Meije massif, seemingly two stories taller. A knife-edged ridge separated their high point from the true summit. They hadn't reached the top after all. MARGUERITE "META" CLAUDIA BREVOORT WAS born in New York in 1825. Raised in Paris, she spent summers with her family in Switzerland but didn't begin climbing in the Alps until age thirty-nine. Brevoort took her young nephew, William Coolidge, as her mountaineering companion. Then fourteen, he was a delicate child, "weak in health and undistinguished in performance," his biographer Ronald Clark writes in An Eccentric in the Alps. Brevoort thought that perhaps the alpine air would improve his health, so in July of 1865 the two of them wandered up the gentle slope of the Niesen in the Bernese Alps, picking wild strawberries on their way. Three days prior, after standing atop the coveted summit of the Matterhorn, four climbers had fallen to their deaths. In the aftermath, Queen Victoria threatened to ban climbing. Mountaineers "went about under a sort of dark shade, looked on with scarcely disguised contempt by the world of ordinary travellers," Coolidge later recalled in The Alps in Nature and History. Nevertheless, Brevoort committed to joining their ranks. Two months later, Brevoort and her nephew headed to attempt the icy Strahlegg pass. The night before their climb, Brevoort gave up the single bed in the Eismeer chalet to her young nephew, and she slept on the floor. At 2:45 a.m., their guides Peter Bernet, Rudolf Boss and Joseph Jossi and an unnamed shepherd began cutting steps for them in the steep, glare ice. Brevoort later described in a letter how the guides lowered their scarves and other bits of clothing to help them climb over sheer rocks. At the end of the summer, Brevoort and her friend Madame Denise Couttet followed two guides to the highest summit in Western Europe. Atop Mont Blanc, the party drank champagne, danced a quadrille and, at Brevoort's prompting, sang the chorus of the then-outlawed Marseillaise, the anthem of the French Revolution. Soon the exploits of Brevoort, Coolidge and the dog Tschingel began to appear in the Alpine Journal, which solidified their reputation as "the most famous trio in the Alps," according to Clark. A gift from their frequent guide Christian Almer, the beagle pup sniffed out hidden crevasses and warned of dangers. Named for one of the glacial passes she had crossed early in her mountain career, Tschingel wore a collar inscribed with famous routes she had climbed. 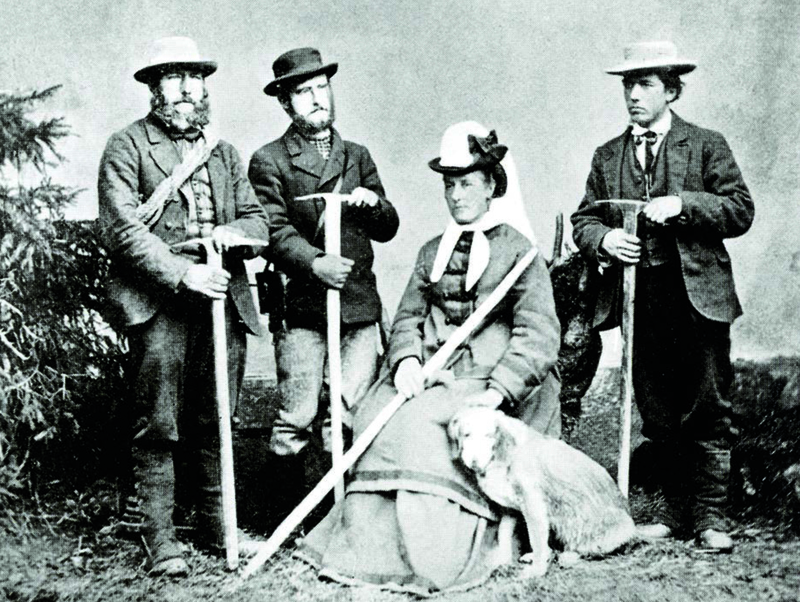 In 1875 she had the honor of claiming the first canine ascent of Mt. Blanc. That same year, Tschingel was elected as an honorary Alpine Club member. She was, as Brevoort wrote to her sister, "the first lady ever admitted into that exclusive body." Brevoort was unable to join her canine companion in this distinction, as human females were not admitted into the Alpine Club until 1975. Early in her climbing career, Brevoort fixated on two ascents: the Meije and the Matterhorn. She wanted to become the first woman to climb the Matterhorn. Even more so, she wanted to be the first climber, male or female, to stand atop la Meije. Brevoort lost her chance for the first female ascent of the Matterhorn in 1871 when Lucy Walker, a young British climber, raced to the summit a few days ahead of Brevoort's scheduled attempt. Brevoort settled instead for the first female traverse of the Matterhorn, up the northeast ridge and down the "Great Beak" of the southwest ridge. Only four parties in history had achieved this feat—as she recounted with pleasure—whereas Walker's ascent of the mountain was the nineteenth overall. After Brevoort's party failed on la Meije in 1870, she endeavored to keep their plans for that mountain secret in hopes that the climb wouldn't attract other competitors. Other peaks caught Coolidge's interest, however, and as he increasingly influenced the trio's climbing schemes, plans for a second attempt on la Meije seemed to fade from their schedules. In 1875, when Coolidge's mother died, leaving her eighteen-year-old daughter, Lil, in her sister's care, Brevoort sensed her mountaineering days were at an end. The following summer, Coolidge travelled to the region alone, though he promised to write to his aunt should a weather window appear for la Meije. Just in case, Brevoort had arranged for Lil to stay with friends. That June, Coolidge wrote, "Christian [Almer] will not pronounce the kamm [sic] impossible, but would try if...if...if...if—the old story, of settled weather, a certain state of the snow, a small party.... Of course, none of the 'ifs' exist at present, so dear old duck, I don't think you need to come." As she waited at the hotel in Chamonix, Brevoort despaired: not a day passed unmarred by "showers and thunder and lightning...[skies] black as night and occasionally Mt. Blanc emerging like a phantom of light." In broad, swooping cursive, she wrote again to her nephew that she maintained a "glimmering hope" he would telegraph her to come to La Grave. Such a note never came. Later that summer, Brevoort proposed that Coolidge take care of Lil just long enough that she might attempt la Meije with Almer again: "You won't grudge me that," she entreated, "as you've often said the Meije was not your wish and you know it is emphatically mine." But then, perhaps feeling guilty, Brevoort wrote to say she had changed her mind. Brevoort would not have another chance to summit the mountain; that December, she contracted rheumatic fever and died a few days later. In August 1877, another party achieved the first ascent of the highest peak of the Meije. A year later, Coolidge's party made the second ascent. On the summit, as he reflected in Alpine Studies, "The pleasure of having attained a long-wished-for goal was very great, but at the same time my thoughts recurred involuntarily to my companion (my dear aunt, the late Miss Brevoort, who died December 19, 1876) on many expeditions in the Dauphine, one of whose most cherished wishes it had been to stand on this lofty pinnacle, a wish which was doomed to remain forever unsatisfied." Echoes of Brevoort's ambitions and desires appear throughout early Alpine histories, often mediated through the words of her nephew. While Brevoort's personal letters are archived at the Zentralbibliothek in Zurich, they have never been printed in full. Brevoort left only one published record: an article in the 1872 Alpine Journal (cleverly disguised under Coolidge's name, as women weren't allowed to publish in that title until 1889). Leaving Tschingel to guard the tent, she and her companions ascended toward the northern arete of the Bietschhorn. Rays of light glimmered between the pines, as though the cool air was saturated with golden dust. For a brief moment, high above base camp, Brevoort's heart smoldered with wonder. "The brilliant sunshine...dispelled all the gloom," she wrote, "but could not banish the feeling of quietness and mystery."